At i3 Consult a new select range of capabilities has impacted on our core services. However we remain committed as ever before to our mantra of “i3” being our big three “i”s in our business model – Integrated Intelligence for the healthcare Industry and with this we continue to deliver great results for our healthcare, pharma and life science clients! . Building on this core service, we’ve added new ways to help clients access data, gain success critical insights, with the leverage of advanced analytics, design capabilities, and a range of game changing software solutions. With our core team of experts & our 200000+ network we empower clients to implement change, build capabilities and transform themselves in this competitive healthcare business space. Value Chain Analysis – Once again we are capable of screening any of the 4Ps of the healthcare system – Provider, Pharma, Payer or Patient to identify a new chain of value whereby healthcare services’ value will provide the best treatment at the minimal cost. We can also identify key activities within your organisation (e.g. bulk material procurement for Pharma) and around (e.g. raising pharmaceutical sales levels via innovative web based interfaces for Provider) and identify them with the competitive strength of your healthcare product or service. 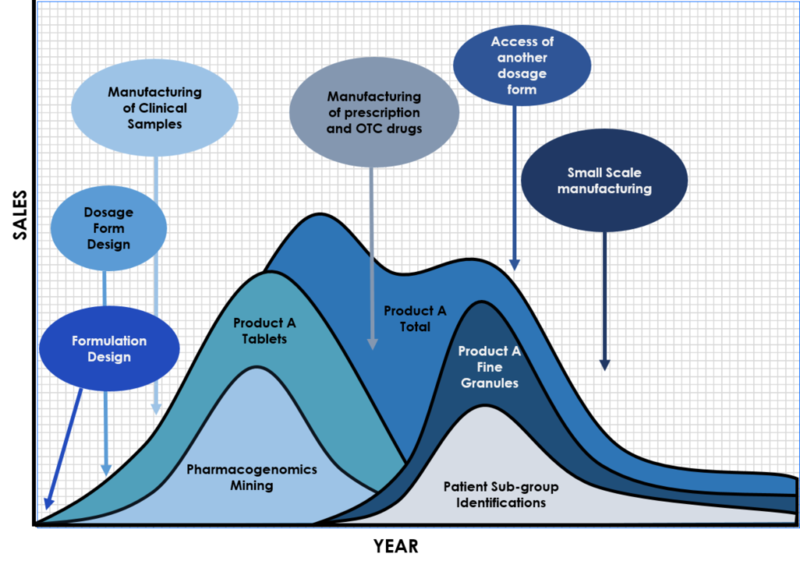 Life Cycle Analysis – Whether your launch has just gained regulatory approval or you’re seeking to extend an existing therapeutic line, we will assess whether your chosen market and operational strategy is appropriate given the stage of the medicine’s lifecycle. Your product may be either at the introductory stage i.e. just fresh on the market from regulatory approval, or at the growth stage i.e. enjoying a revenue surge from new patient awareness and buy-in, or at the mature stage i.e reaping the rewards of brand recognition and competitiveness over other therapeutic class medicines or finally at the decline stage i.e. has reached patent expiry with lower cost generics gaining ground and therefore we need to compare and give a critical appraisal of its market performance with those of competitors in the same therapeutic class and advise on the corrective action necessary. 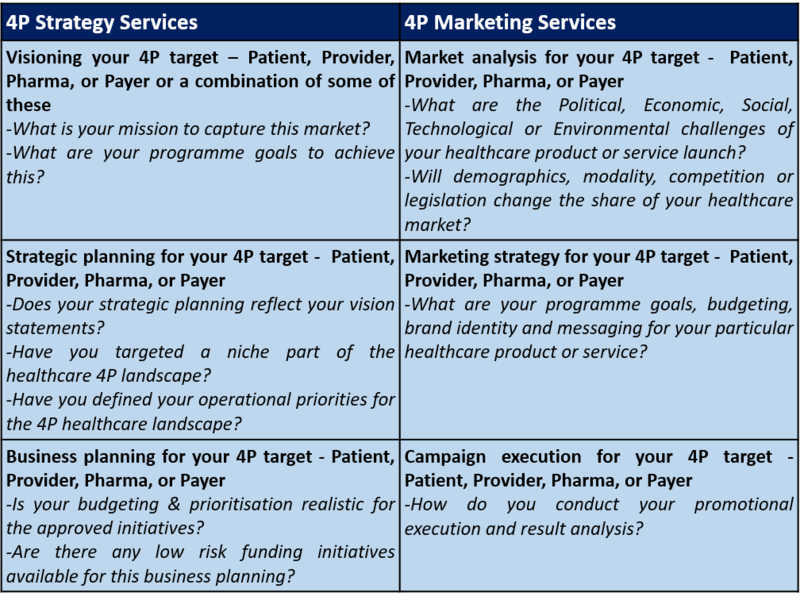 i3 Framework Approach – Different countries have different pharmacoeconomic systems for evaluating the efficient use of healthcare resources, here we clarify the profitability of your chosen market through frameworks such as Porter’s Five Forces, McKinsey’s 7Ss, BCG Analysis, Strategic Clocking and other in-house models. Financial Management Services – For this service we profile the financial position of your healthcare organisation by auditing investigational new drugs (INDs) in the pipeline, as well as scrutinising your annual financial reports to assess particular financial ratios, such as Current Asset Turnover Rates (Sales/Total Current Assets), Acid Test Ratios (Cash/Current Liabilities) & Capital Gearing Ratios (Debt Capital/Capital Interests) to harvest, hold, grow, turnaround or find niche with your current product or service portfolio. We can also give at a very affordable price an appraisal of your product and/or R&D investment portfolio in terms of Net Present Value and Internal Rate of Return. R & D Manufacturing Consultancy – This is our niche consultancy service capable of providing Chemical Bulk Manufacturing solutions such as Inventory Control, Chain Management, Working Capital Issues, “Make or Buy” Decisions, Options for Batch, Combinatorial or Flow-line Processes. Whether it is a new Web site advertising space or hardcopy digital design of your company logo, we use our brand equity framework. 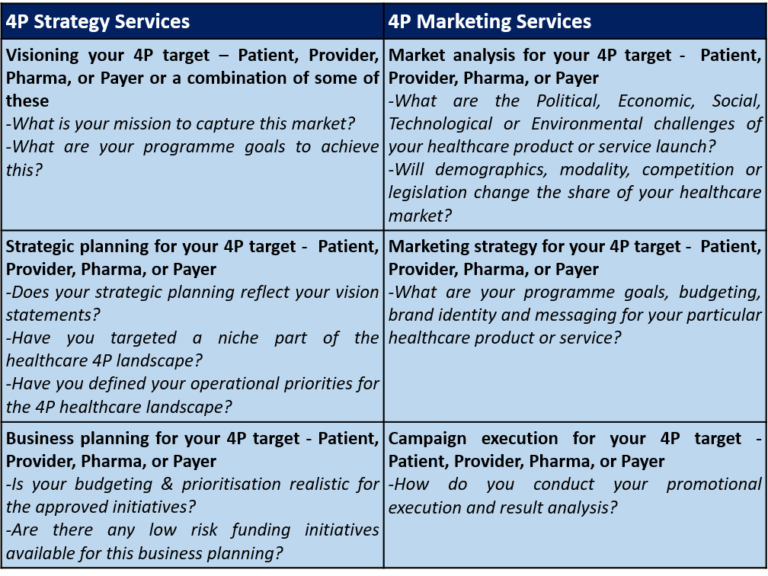 Our design proposals will be shared with internal stakeholders and in line with the target communication objective(s) of the client and selection of the 4P segmentation target (Patient, Provider, Payer or Pharma – see our Strategic Marketing Services above), an optimal design solution will be implemented. For design refinement we use Adobe Creative tools, mainly Adobe Illustrator and Adobe Photoshop to design the logo and its elements but based on the requirements, we might use other software as well such as UI mockups for your new Web site design.